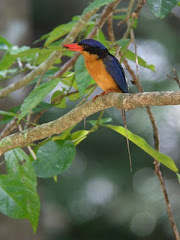 Red Mill House - Daintree Birdwatching: We're back!! After two months of rain, demolition and re-building, Red Mill House is back and open for business as of Monday. All the plans of weekends away camping, trips to the Reef etc have been replaced with days on the paintbrush, sawing and hammering. The place looks fresh and fabulous, albeit very soggy underfoot, and we look forward to a great season ahead. There has been almost 1 metre of rain in Daintree in March to date, most of it happening in very heavy falls, which have tested the new drains and gutters - and they have passed! . 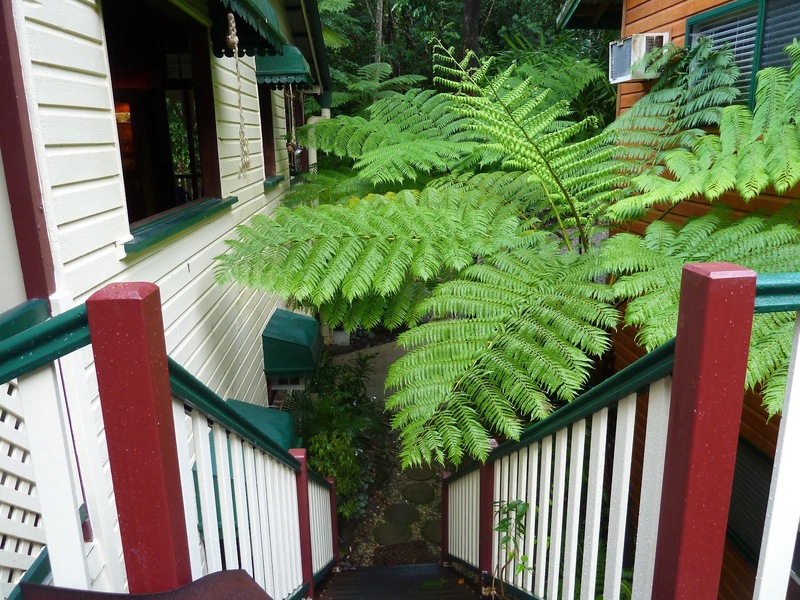 Daintree has been flooded in four times so far this wet season and we are all just about ready to see the end of it! Oh, for it to dry out enough to mow the lawn! One of the great pleasures of being closed for a few weeks, so less people around, is the fact that the birds become much more confiding. 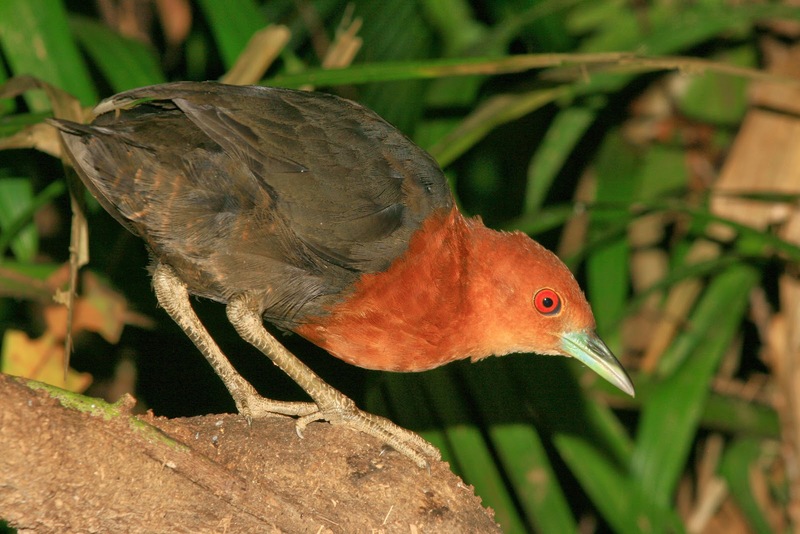 A family of Red-necked Crake speed past our bedroom door every morning as they move from the cover around the pond to the cover around the pool. Gorgeous things, and so, so bright! 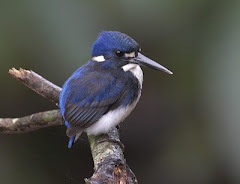 Birding has been difficult as everyone shelters from the wet, but lots of Channel-billed Cuckoo and Koels around this year, plus Dollarbirds, Rainbow Bea-eater and Double-eyed Fig-Parrots.